What's the only thing better than a cold beer at the end of a long day? A cold beer and a stiff shot. And luckily for basically everyone, a curious new batch of brewery-distillery hybrids have been cropping up across the country in recent years, providing the good people of Boozeville with the freshest, most thoughtfully curated goilermakers imaginable (with respect to the classic well whiskey/tallboy boilermaker). I mean, it's 2016, you might as well get you a brewery that can do both. Each of these seven beer-liquor chimeras represents craft's next frontier, the natural maturation from low proof to high proof, from fermentation to distillation. 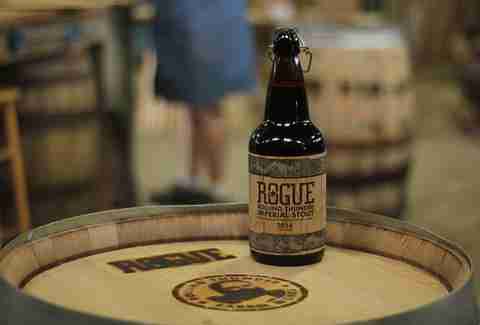 A longtime favorite of the West Coast brewing movement, Rogue Ales has become ubiquitous. Rogue's spirits aren't far behind, with everything from chipotle whiskey to Pink Spruce gin and, yes, a Voodoo bacon maple vodka. The ingredients for spirits, like the beer, are all sourced from the enormous Rogue Farms. Hell, Rogue even makes its own barrels, and ages its beer in its handmade casks that once held its hooch. For a company that's grown to a nationwide paragon of craft-brewing dominance, that's a hell of a way to keep it local. 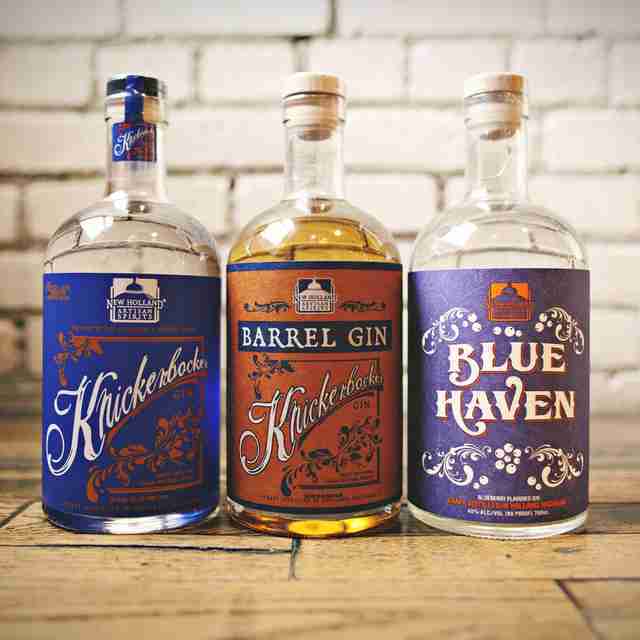 Delaware's most off-centered brewery has been experimenting with craft distilling for quite some time now. 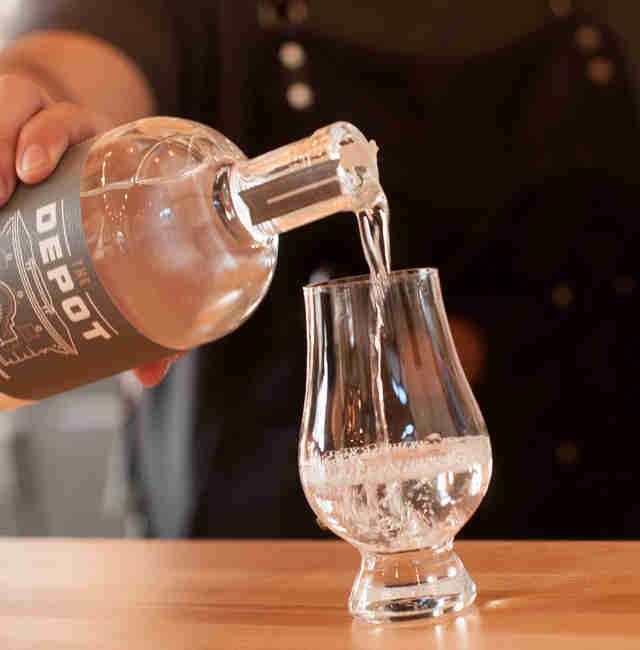 The Milton-based production distillery zeroes in on just three different, carefully refined styles: two types of gin (each distinctively floral) and the clean, chest-warming Analog vodka, made for sipping. If all that sounds a bit boring for Sam Calagione's whacked-out, no-stone-left-unturned tactics, the brewpub series (available only at the Rehoboth outpost) brings Dogfish's signature wild style back home with crazy flavored liquors that somehow work (see: peanut butter vodka). 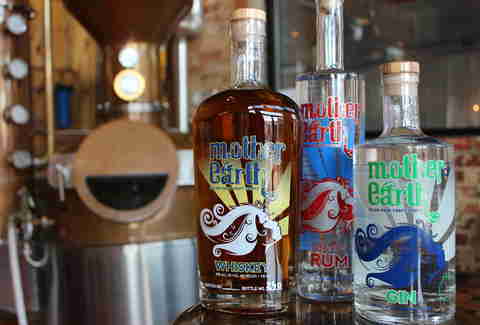 Mother Earth may share a name with an herbal tea-scented hippie news rag, but don't let that unfortunate fact deter you from sampling its damn fine craft brews and spirits. As far as beer goes, Mother Earth's armada is packed with clean, traditional styles, the very definition of approachable. On the liquor side, locally grown grain and deep Southern roots are the backbone for the solar-powered, LEED-certified North Carolina operation's three spirited offerings. First there was gin -- rounded, botanical-forward, and lusciously spiced. At some point, a molasses-fueled, deceptively easy-drinking silver rum entered the mix, but if I had to choose, I'd nominate ME's aged, blended whiskey for best in show. It begins bourbon-like, all burnt caramel and oak, but ends dry with a lingering, earthy cut. Trust me when I tell you, this ain't no crunchy co-op fodder. 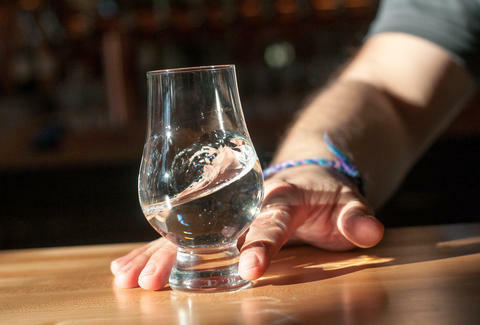 Most distillery-hybrid operations began as ambitious little breweries, gradually adding distilling equipment, tasting rooms, and snack menus until they blossomed into the liquor-soaked wonderlands we know and love today. The Depot is not most hybrids. In early 2014, the Nevada hotspot came out the gate running with the holy trifecta of hipster cuisine: craft beer, small-batch spirits, and decidedly un-brewery-like cuisine (duck confit sliders, smoky cioppino). San Diego superstar Ballast Point might be known for its boundary-pushing, distinctly SoCal craft brews (Habanero Sculpin IPA, anyone?) but the extensive, well-honed spirits can contend with the best of them. It's got a whole slew of options, including gin, rum, bourbon, a handful of flavored vodkas that taste nothing like Jell-O shots, moonshine, and even an original, anise-spiked herbal liqueur called Opah. And for the home-bartending averse, Ballast also puts out a line of premixed canned cocktails (rum & Coke, gin & tonic, etc.) as well as bottled, brunch-on-a-boat-worthy Bloody Mary and Mai Tai mixes. A national brand with a hometown feel, Michigan's New Holland Brewing Co. began distilling way back in 2002, making it one of the first modern craft breweries to dip into the hard stuff. 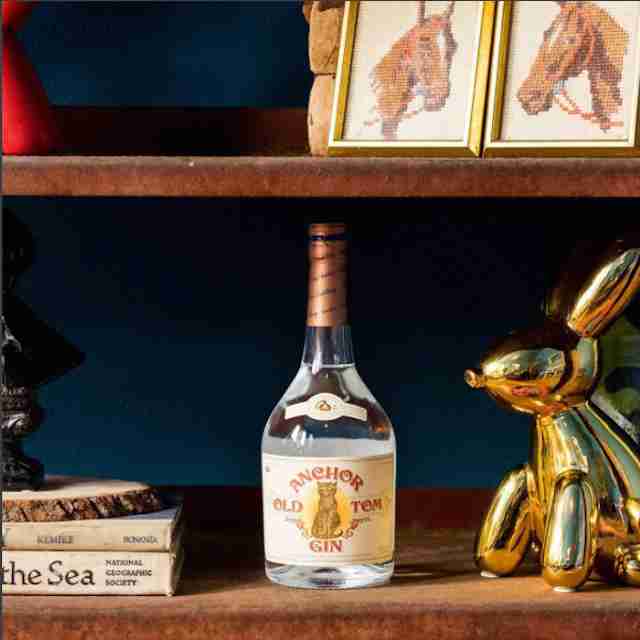 It's amassed quite a lineup over the past 14 years, counting 15 different labels among its growing fleet of gin, rum, whiskey, vodka, and specialty liqueurs. New Holland's experienced distilling crew really flexes its creative muscles when it comes to beer-spirit crossovers like Beer Barrel Bourbon, an alliterative bourbon matured in New Holland's Dragon's Milk stout's former oaky home, and Hatter Royale whiskey, an American whiskey distilled with lemony, floral, IPA-friendly Centennial hops and sweetened with a touch of cane sugar. Anchor Brewing & Anchor Distilling Co. Craft beer pioneer and longtime Anchor Brewing owner Fritz Maytag went out on a limb when he decided to open sister company Anchor Distilling in 1993. Though his iconic Steam Beer was doing well, it wasn't exactly a boom time for small-batch liquor production, especially not the spicy rye whiskeys Maytag envisioned making -- in fact, the US was home to a total of zero legal pot-distilled whiskey operations at the time. "No big deal," said an undeterred Maytag, 100% in my head. "The world is mine." And 23 years later, Anchor Distilling is still ripping the spirits world a new one with its diverse catalog and massive distribution reach. Top Anchor-distilled picks include a licorice-tinged Old Tom gin, the enticingly aromatic Hophead vodka, the holiday spiced Anchor Christmas Spirit (the high-proof yang to Anchor's beloved Christmas Ale's yin), and Fritz's OG baby, the ever-so-slightly smoked Old Potrero straight rye whiskey. Meredith Heil is a staff writer for Thrillist. She’s just tryin' to let her hair back and chill where they got some air at, ya hear dat? Champagne, clear liquor -- put that beer back. Raise a glass to @mereditto.